Surety HR has partnered with Virteom to engage our customers about our services. In our video, Jacqui and Andy talk about the benefits of our multiple employer 401(k) plan. Watch the video or read the transcription below! An employer often has the challenges of trying to find ways to find good employees and keep them. In doing so an employer may choose a blend of compensation and benefits such as a 401k plan. The barrier for some of the small to medium sized companies is it can be very challenging to pay for those benefits. In order to facilitate that need, working with an organization like Surety HR, they can bring the economies to scale and make that 401k plan work for you. 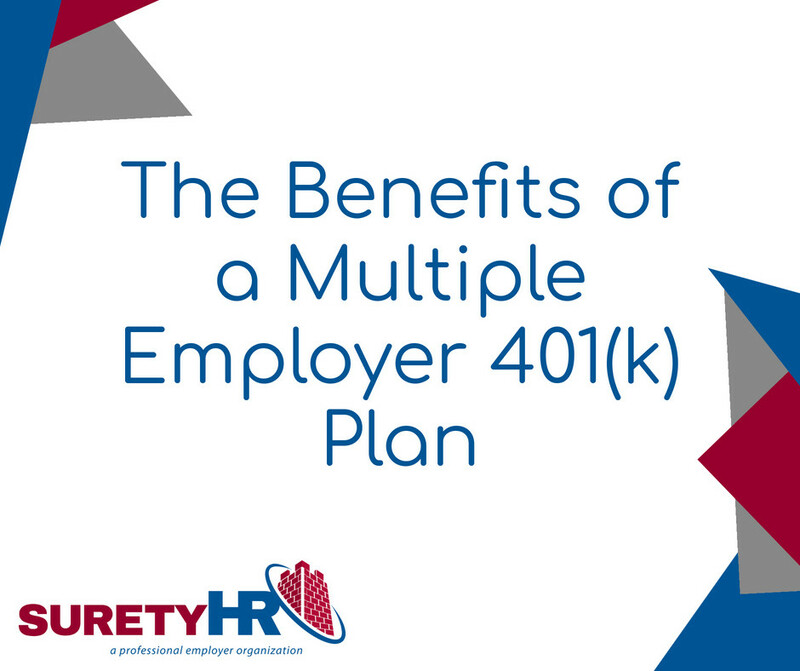 By joining the Surety HR Multiple Employer 401k Plan you instantly get the benefits of a very large and well-established 401k plan with millions of dollars in assets. In return you pay pennies on the dollar for the multiple employer 401k plan versus creating a plan on your own. Well if you’ve had to manage a 401k plan in the past on your own, you know that this is a time-consuming process of managing your own 401k plan. There are many rules and regulations in place around managing your 401k plan and in many cases, it takes a lot of time to manage that, taking you away from what matters most to you, servicing your customers. Surety HR insulates you from your fiduciary responsibilities. How? Surety HR is the plan sponsor, not you. This makes your job a whole lot easier at a fraction of the cost. Excited About our 401k Plan Yet? Want to learn more about a multiple Employer 401k Plan? Simply contact us using our phone number or the contact form provided here, and our team of professionals will be glad to help you! Will I Lose Control Over My Employees When Working With a PEO? Surety HR was created to remove the obstacles in the way of employer profits. Manage your business, not your busy-ness, with Surety HR.